German car care and detailing brand Nanolex – now well-known as being car sealant aficionados – visited Ultimate Finish HQ at Brands Hatch Race Circuit in Kent, to take us through their very first UK ‘Detailer Training Day’. 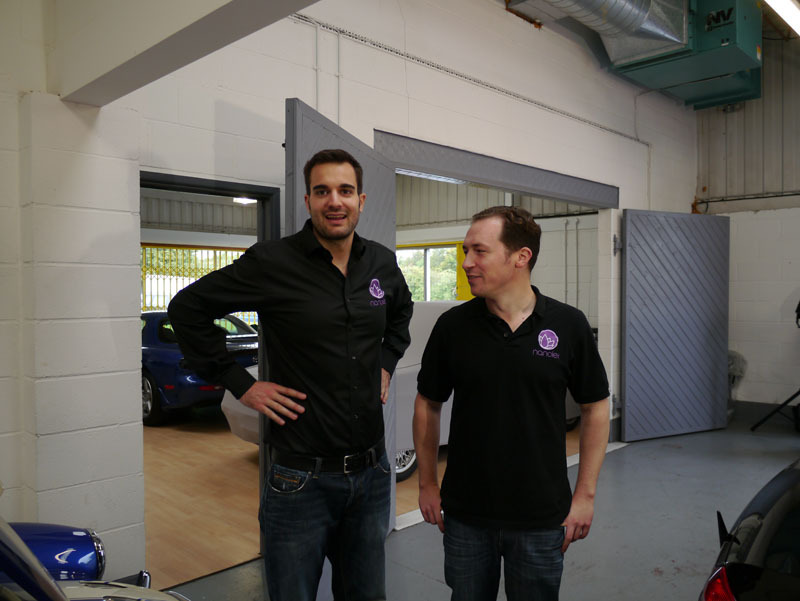 Organised by the official Nanolex UK distributors Three60 Limited, Nanolex Car Care owner Florian Kessler – alongside Nanolex’s in-house detailer Matthias Schmitt – flew in from Germany to take us through how to use each and every one of their professional products in-depth. Nanolex run an Approved Detailer scheme, which will give the endorsed detailer access to discounts on their products, a place on the Nanolex Approved Detailer website page, plus other great benefits. Alongside this, Three60 Limited is offering this in-depth training course at UF HQ at Brands Hatch (plus other locations) to detailers who are interested in using Nanolex products. The course is a single day, lasting from 10am to 4pm. Please email info@three60.co for more information and the next available dates. On with the training. Three cars were lined up, ready to be fully pampered and protected with a variety of products from the excellent Nanolex range. A monstrous – and very black – Mercedes-Benz SL55 AMG was to be given the full protection works on all exterior surfaces, with every sealant Nanolex currently sell being used. This meant the glass being cleaned and prepared with Nanolex PREMIUM Glass Cleaner, then onto using Nanolex PREMIUM Glass Polish – which was applied with a FLEX PE14-2 150 Rotary Machine Polisher – before the final stage of Nanolex ULTRA Glass Sealant. With this done, the SL55 AMG driver should barely have to use the windscreen wipers, as the Nanolex ULTRA Glass Sealant works more effectively the harder and heavier the rain falls. 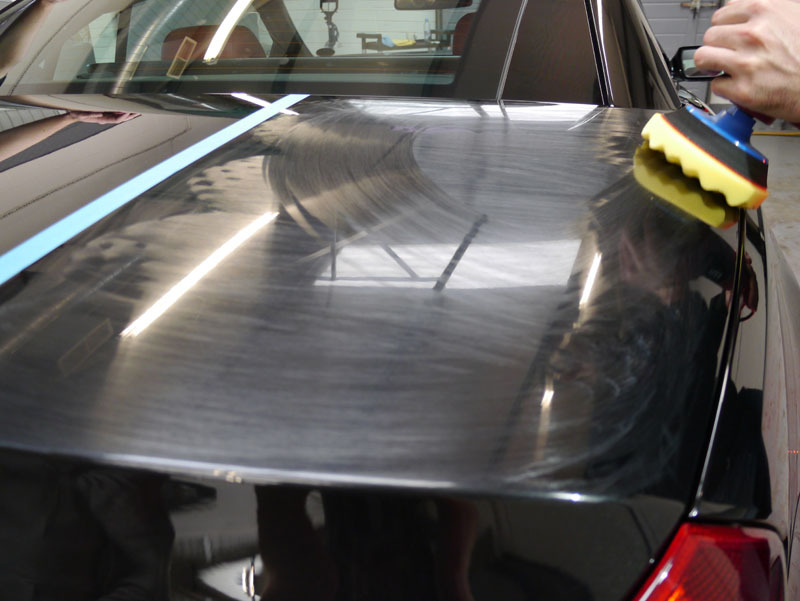 The Mercedes panels were treated using various Nanolex sealants, but before that Nanolex PREMIUM Paint Cleaner was used to prepare the paintwork for the products. Nanolex NanoWax – which cleanses, rejuvenates and protects in one step – was applied to the boot using a FLEX PE14-2 150 Rotary Machine Polisher. While the handy Nanolex PREMIUM Spray Sealant that can be used on any painted surface, plus metal parts and exterior plastics, was also put to use. There was no let-up in protecting the Mercedes deep black paintwork, as Florian and Matthias also showed us how to go about properly applying the rest of the Nanolex sealants to both bodywork and wheels. A list of all Nanolex products used can be found at the foot of this article. 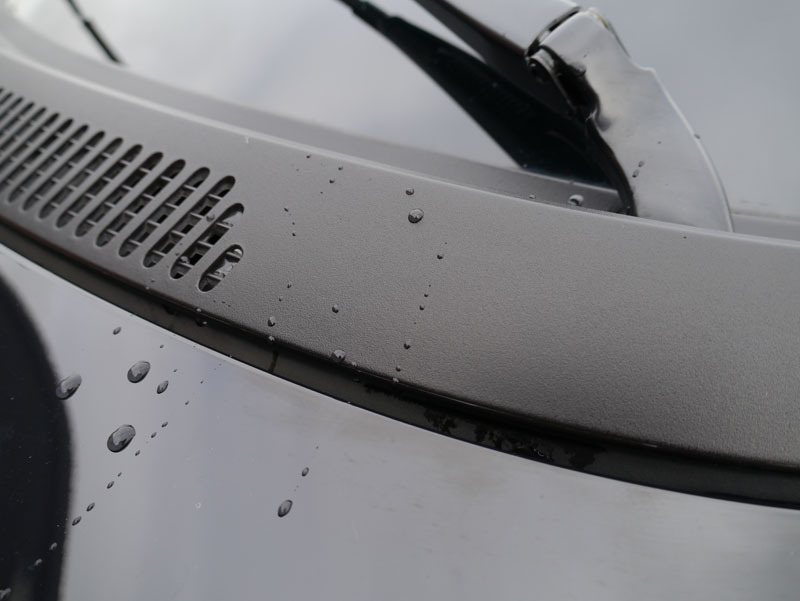 The results achieved using Nanolex sealants are simply spectacular, to say the least, as they are so hydrophobic that should you be driving, water has barely long enough to touch the car before it’s thrown off. Needless to say, with the car sat after a downpour you’ll see exceptional water beading. 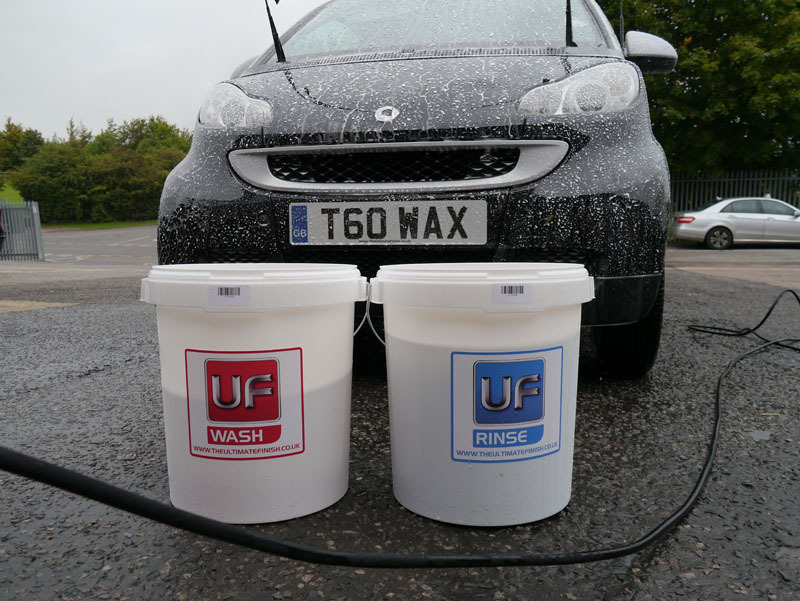 A Smart car and a rather special Ferrari 575 Maranello both received a wash with Nanolex Reactivating Shampoo applied using a Kranzle Ultimate Snow Foam Lance. This product works as it sounds, forming a chemical and molecular bond during the wash process, reactivating previously-applied sealants, giving them a longer lifespan. After washing and rinsing the cars, Nanolex WashCoat Sealant was applied using a Kranzle Ultimate Snow Foam Lance. This clever but simple-to-use product forms a chemical bond with the previously sealed or waxed surface, refreshing it and giving the paintwork a deep gloss whilst significantly enhancing the beading properties. Overall, the Nanolex Detailer Training Day was highly insightful and instructional. It gave us a chance to see not only how to apply Nanolex products correctly, but also to witness just how effectively every single one of their range works. To reiterate (in case you missed it earlier), Three60 is now offering this same Nanolex Detailer Training Day. It lasts a single day, running from 10am to 4pm. Please email info@three60.co for more information and the next available dates.